Thirteen years ago, Billy Ashaba, then a medical student at Makerere University, approached Theatre Factory with a script. One look at it and Phillip Luswata, knew The Campus would grip the entire nation in ways never imagined. Without promise of production, Ashaba committed to write 26 episodes. A pilot was soon shot in 2007. However, Theatre Factory broke up, with original members of the cast leaving to form another comedy outfit just after shooting had commenced. This forced Luswata to re-cast, hiring fresher, younger actors. However, someone made off with a hard drive that contained about eight of the complete edited episodes. The team went back to zero, and decided to take a break only to restart shooting the project from zero last year. Yesterday, The Campus premiered on NBS tv. According to Luswata, a total rewrite has been done with a team of six writers with the support of Ashaba. The product is both youthful in theme, content and treatment but also has great crossover appeal for mature viewers. Executive produced by JKazoora and directed by Luswata, this production has partnered with the Department of Performing Arts and Film, MUK and is offering apprenticeship support to students of film and drama while the University allows them the nostalgia of shooting in authentic locations. “It is a partnership we are greatly proud of. 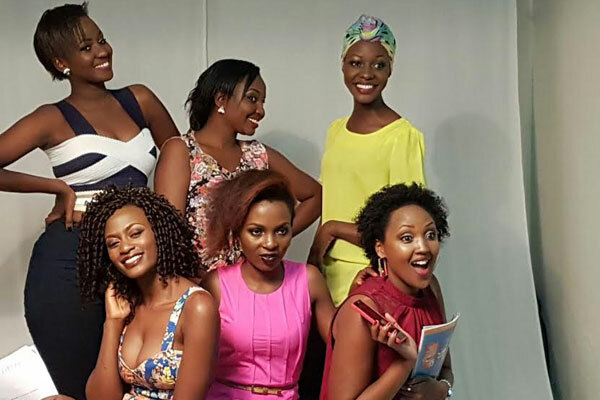 Most of the cast is therefore composed of graduating and continuing students of the department,” Luswata said. An invite only launch party is scheduled for today to be graced by star actors such as Sam Okello-Kelo.